The Financial Times reports that Toshiba has agreed a deal to cap its liability for the Vogtle reactor project managed by its nuclear engineering unit Westinghouse, but this agreement does not address the future of the SCANA plant which remains in doubt. Georgia Power (Southern Nuclear) has entered into a new agreement with Toshiba, the parent company of Vogtle’s contractor Westinghouse. The agreement confirms the value of Toshiba’s guarantee at $3.68 billion. The agreement has been approved by the U.S. Department of Energy (DOE). The agency has a stake in the outcome of the negotiations because it approved an $8.3 billion loan guarantee for the Vogtle project. SCANA did not apply for and does not have loan guarantees from the federal government. Additionally, Georgia Power and Westinghouse have completed a new service agreement which allows for the transition of project management at the Vogtle expansion from Westinghouse to Southern Nuclear and Georgia Power. The service agreement is subject to approval of the Westinghouse Board of Directors and the bankruptcy court. This agreement could be a model for SCANA. Southern CEO Thomas Fanning said in a prepared statement he approved the agreement because it provides additional protections for Georgia electric customers following Westinghouse’s March bankruptcy. Meanwhile, there are efforts by both the Vogtle and V C Summer projects to bring new EPC contractors onboard to manage the completion of construction of all four reactors. Bechtel and Fluor are reported to be preparing bids to separately manage the Vogtle and V C Summer nuclear reactor projects. Bids are expected by mid-August. It’s a question whether either utility has firm “walk away” numbers regarding their negotiations for costs and schedules that might be submitted in the proposals nor have the utilities announced timelines for reviewing and deciding whether to accept the bids. In any case working out the terms and conditions of projects this large is never a quick process. Southern CEO Thomas Fanning says he wants to see the bids before deciding on a course of action. SCANA’s management has been more outspoken about the risks of deciding to complete their two reactors, but it also wants to consider the EPC bids. The combined cost overruns for all four reactors are estimated to be $13 billion and the delays for both projects are in the range of three years from the original completion dates. Paul Bowers, chairman, president and CEO of Georgia Power said in a prepared statement that the next step will be to engage the Georgia Public Service Commission. It will be expected to review the EPC costs and schedules as input to future rate cases for covering the construction costs of the two Vogtle reactors. “We are continuing to work with the project’s Co-owners to complete our full-scale schedule and cost-to-complete analysis and will work with the Georgia Public Service Commission to determine the best path forward for our customers,” Bowers said. 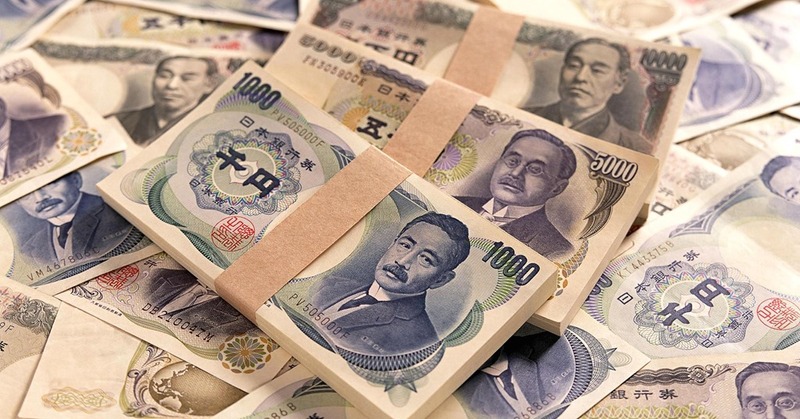 In addition to affirming the value of $3.68 billion in parent guarantees from Toshiba, the new agreement also adds clarity on the timing and form of payments for that obligation. Toshiba guarantees were put in place to protect Georgia electric customers as part of the original contract and the first payment under the new agreement is due from Toshiba in October 2017. The scope of the service agreement with Westinghouse includes engineering, procurement and licensing support, as well as access to Westinghouse intellectual property needed for the project. The agreement will take effect after approval of the bankruptcy court. The interim assessment agreements with Westinghouse, which has allowed progress to continue at both construction sites, have been extended to June 26th. Additional extensions are expected as both utilities grapple with one of the most complex construction projects in the nation. The Financial Times noted that Mr Fanning suggested on a call with analysts last month that US government support might be available to help complete the new reactors. If the reactor projects cannot be salvaged, it could influence decisions by other utilities to put off projects which have received NRC licenses but which do not have construction commitments by their respective utilities. These projects include Duke’s William States Lee III, Dominion’s North Ana, and DTE’s Fermi III. Under the umbrella of the “prudent investor” paradigm, all of them will have to take into account the outcomes, whatever they may be, of current negotiations at Vogtle and V C Summer. Failure to craft credible and sustainable plans to complete the reactors could cripple the future of the nuclear industry in the U.S. The country’s energy security would be at risk. So far this risk has not been accepted by the government. Efforts to obtain congressional approval of $2 billion tax credits for Vogtle and V C Summer against future revenues, assuming the reactors are completed, have failed to gain traction. An effort to attach the measure to an omnibus appropriations bill did not work out as expected. A new effort to tie the measure to a future tax reform bill will have to wait for that legislation to be introduced in Congress. Meanwhile, talks continue over the two new reactors under construction at VC Summer. Toshiba said in its statement that it is in talks with the plant owners, led by South Carolina-based utility SCANA, about its guarantee obligations and the payment schedule for completing the project. Both utilities have said previously they have to agree their settlements with Toshiba are acceptable. The public utility commissions in both states have to agree as well. There’s a long way to go.